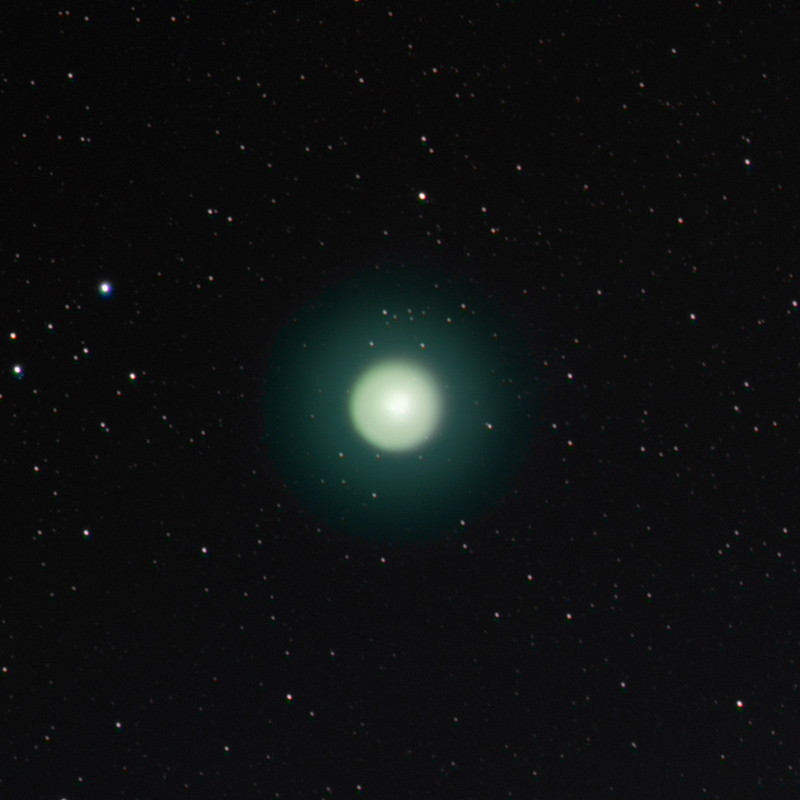 Comet 17P Holmes a few days after outburst. Very interesting comet to be sure. The bright central dot to the left of center I believe to be the comet core. The bright spot to its right is most probably a star. There was some speculation that the comet had split, but that has not yet been confirmed and seems unlikely from looking at the image data. The star to the right trails like a star would trail when aligning the images on the comet core.